Nigerian forces say they have rescued 241 women and children from the Boko Haram Islamist militant group during an on-going anti-terror operation. One of the terrorist group’s “kingpins” was also arrested. 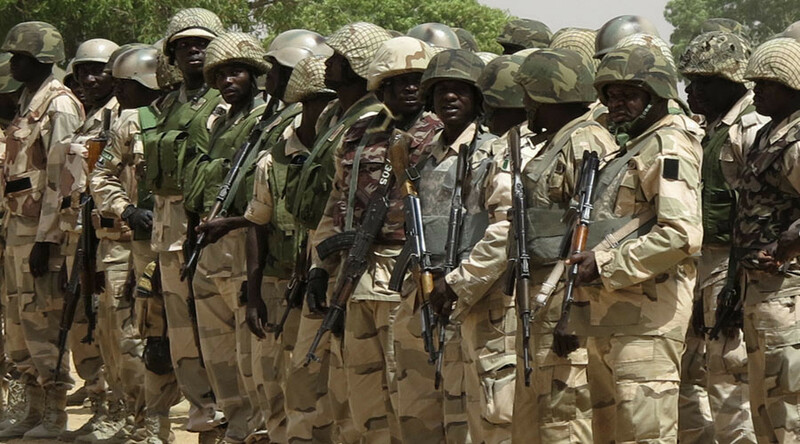 The women and children were freed as Nigerian troops cleared “terrorist camps” in the villages of Jangurori and Bulatori near the town of Banki in the country’s northeast, the Nigerain army announced in a press-release. Nigerian army spokesman Sani Usman told AFP that it was not immediately clear if all those rescued had been kidnapped by the militants, as the investigation is still underway. “Screening is ongoing to know their exact status. Some were being held, some belonged to their [militants’] families,” he said. The troops also arrested 43 suspected Boko Haram militants, including one of the group’s kingpins, Bulama Modu, also known as the “Amir of Bulakuri” – one of Boko Haram’s top commanders. The town of Banki near the border with Cameroon was a Boko Haram stronghold used by the Islamists to carry out cross-border attacks. The last one took place just on Tuesday in the Cameroonian town of Amchide. The army spokesman said in the press-release that “the terrorists [are] abandoning their commanders and burying weapons,” once again claiming that the group was in a “serious state of disarray.” However, Boko Haram’s leader, Abubakar Shekau, had dismissed such claims earlier, calling them “lies,” as quoted by AFP. According to the Amnesty International, Boko Haram has kidnapped more than 2000 women and girls in less than two years, with their most notorious abduction coming last year when they kidnapped more than 200 girls from a school in the northeastern Nigerian city of Chibok. The fate of the girls is still unknown. Several hundred women and children were freed from another Boko Haram stronghold in the Sambisa Forest in the northeast of Nigeria in May, and 180 more were rescued in August in the north-eastern state of Borno. Apart from abducting people, the terrorist group also carries out attacks and suicide bombings in Nigeria, as well as in neighboring Cameroon, Niger, Benin and Chad. On Sunday, 140 people were killed in a series of bomb attacks carried out by the Islamists in the cities of Maiduguri and Monguno. Earlier this month, the militants killed 68 people in the Nigerian village of Baanu and attacked the market in the Cameroonian border town of Kerawa and an infirmary near a Cameroonian military camp, leaving 30 people dead and 145 injured, Colonel Didier Badjeck, a spokesman for Cameroon’s military, told CNN. Boko Haram, which is often translated as “Western education is forbidden,” is an African Islamist terrorist group based in Nigeria that advocates introducing a strict version of Sharia law across the country. The group has recently pledged allegiance to Islamic State.